Play is the highest form of research for kids preparing for society at large. 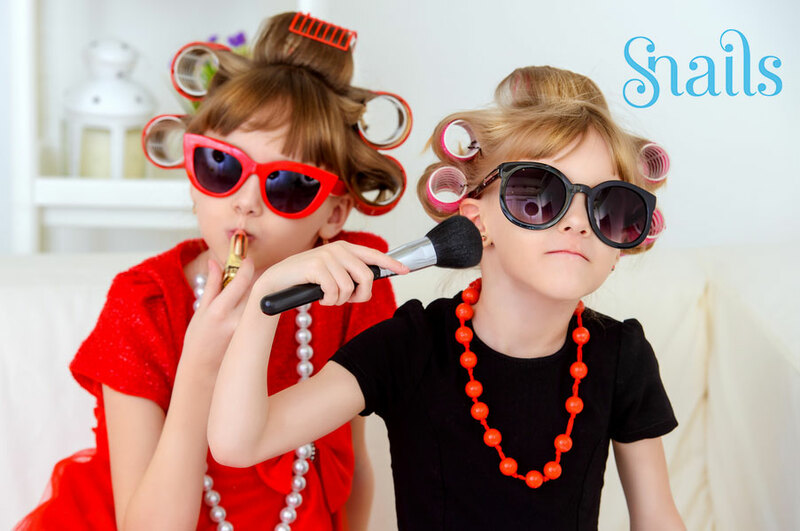 Kids can play dressing up now safely with Snails non-toxic child cosmetics. PLAY is children’s work in which they are preparing themselves for adult roles and for society at large. For a child, play is the vehicle for exploring and learning, developing new skills, and connecting with others. Through PLAY children practice talking, singing, writing, reading and developing key skills that serve as a foundation for school readiness. When children play they engage in conversation, practicing the skills of listening and trying out new words. Play helps a child develop social skills which are important for school success like taking turns and using eye contact, body language and gestures. Playtime at home is the perfect opportunity to allow children to explore their natural curiosity and creativity. When children play, they increase their physical and creative development. Play contributes to children’s fine and gross motor development and body awareness as they actively use their bodies. Young children develop their creativity by using their imaginations in play. They experiment with problem-solving skills as they learn about different roles in their homes and communities by pretending they are moms, dads, teachers, puppies, etc.